The Quest for the Popped ‘Un. Today, I thought I’d take you on the Quest for the Popped ‘Un. 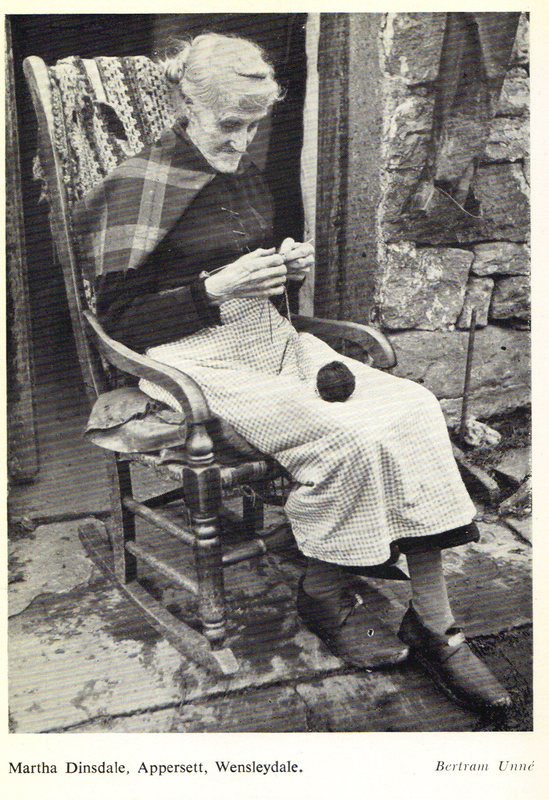 Years ago, when I read ‘The Knitting Bishop”s ‘History of Hand Knitting’, I first heard of a little book by Marie Hartley and Joan Ingilby, called ‘The Old Hand-Knitters of the Dales’. I searched high and low for a copy – but it was out of print in the mid 1980s. In the days before Amazon and Ebay, the best you could do with an OOP book was hope it might turn up some day in a charity shop or secondhand book store. And although we haunted those places, we failed to stumble on a copy. I never forgot about it, and as the years went on, it was always still the first book looked for on every book scavanging adventure. 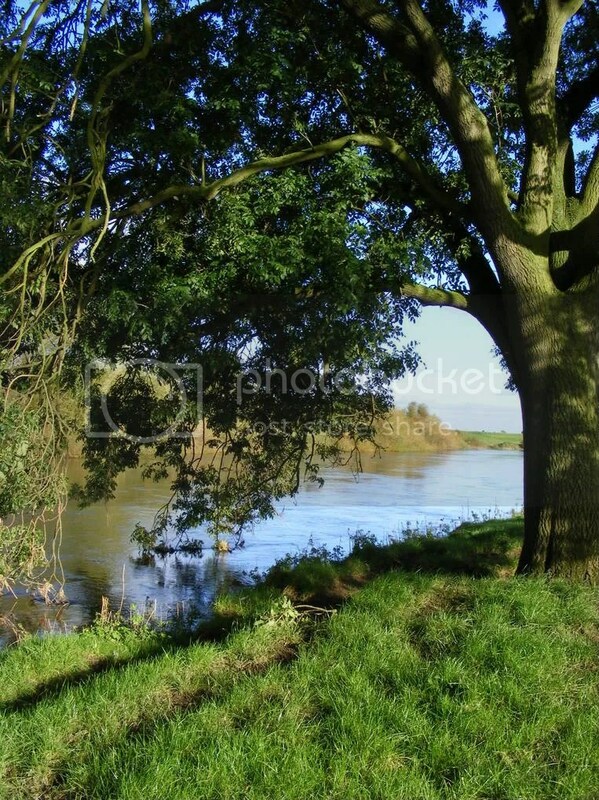 Didn’t even find it in the fabled town of books, Hay on Wye – and we visited there quite a few times. 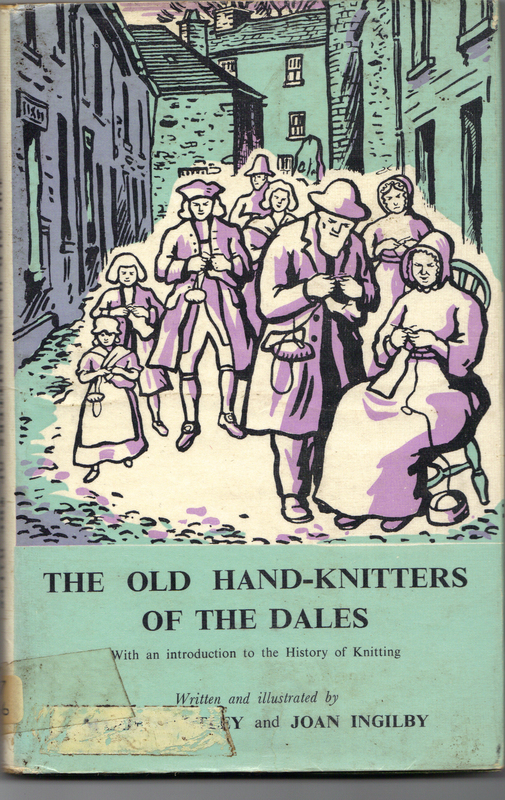 One day, sometime in the 1990s, with The Old Hand-Knitters the last thing on my mind, we went on a day trip to Haworth, Yorkshire – and there it was, in the Tourist Information centre: a brand-new edition. Mine was paperback – and over the years I read it til it fell to pieces. The pages literally fell out. I stuffed them back in, and was still using it last month, despite its tragic appearance. When it went OOP again, I saw other editions of it – usually at fairly high prices. Once I even saw a first edition (1951) but that was around £40. Finally, a couple of weeks back, I caught a copy on half price sale, online. £15. It claimed to be a first edition too, and with an intact dust-jacket, but I didn’t really care about that – it was hardback and so presumably, less liable to fall apart like my 1990s one. When it came, it did indeed have an intact dust-jacket, and was indeed, a first edition. Marie and Joan posted the manuscript to their publisher in 1949, but there were delays and, incredibly, their book didn’t see the light of day til two years later! My edition was in good nick as it was an ex library book, cancelled stock from Somerset County Library. The last date stamp on the ticket inside is 22 OCT 1963. I was two years old, the last time this library book was on loan! …She used to knit sailors’ jerseys with long sleeves, some high-necked and some open-necked, for which she was paid 6-/ (30p) for six. There were also ‘popped jackets’ or ‘popped ‘uns’. These had three rows of white knitting and then one of blue making circular bands all round the body and arms. ‘How many pops ‘a ye deun?’ was a familiar question. They used to carry the finished articles to Hawes Mill, and then ‘lagged some more wool home’. The phrase ‘popped ‘un’ might make more sense to some US readers than UK, as yous lot talk about motifs/patterns ‘popping’ – Brits have kind of forgotten what it once meant! By the back end of the 19thC, the Dales did a roaring trade in cycling stockings, socks and jerseys. Sporting jumpers might more logically, have been frame-knit not hand-knit – yet here we have evidence that some were definitely hand-knit in the Dales. 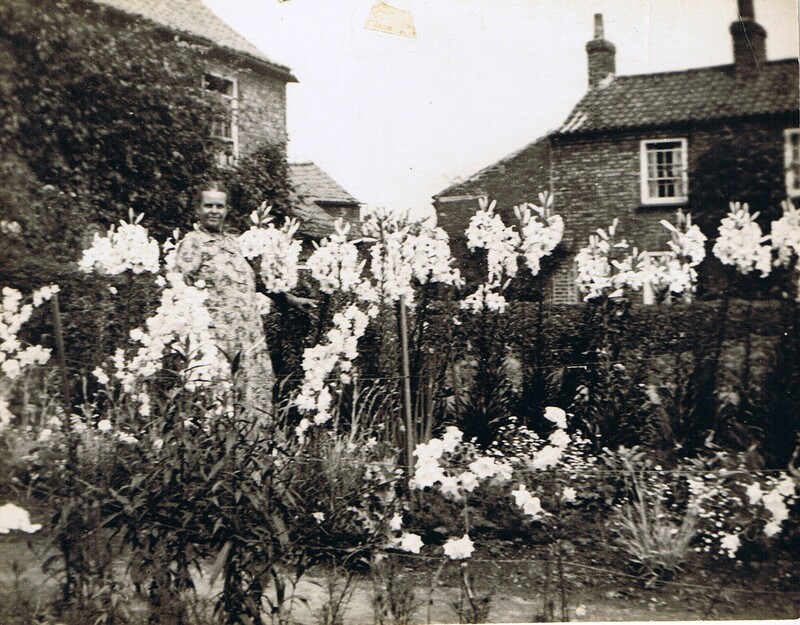 The Dales knitters’ work was exported literally throughout the world. Finding a photo of a popped ‘un seemed an impossible task. Then, a few months back, we stumbled on the Flickr album of the National Portrait Gallery of Scotland. And there he was. Mr Laing (or ‘Laine’ – no-one can quite read the handwriting). 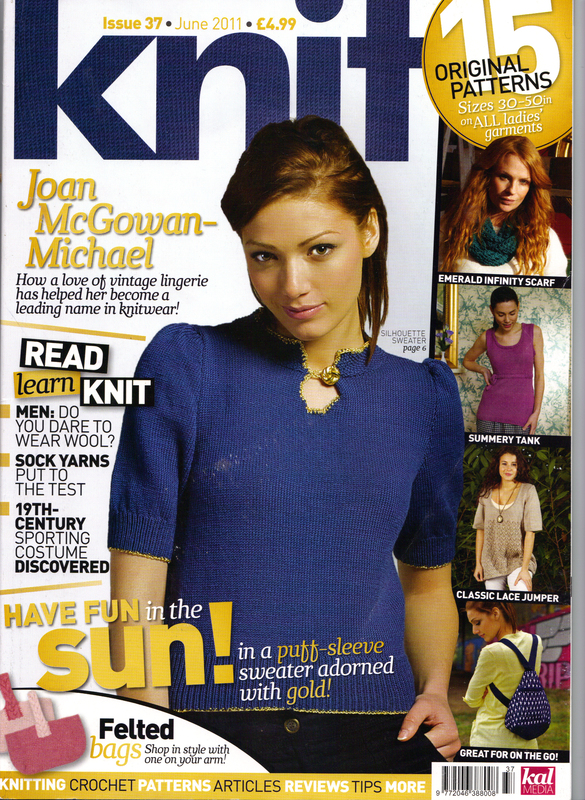 I don’t have permission to reproduce his rather stunning image here, although we did get permission to use it in ‘Knit’ magazine, 37 – and it’s still on the shelves (just!) The photo was by the famous Edinburgh photographers, Robert Adamson and David Octavius Hill, and is dated 1843. If that is not a popped ‘un, I’ll eat my hat. And Edinburgh or not, the chances are, it may have been knit in Yorkshire, given the sheer volume of knitting exported from Wensleydale. If you’d like to read more about the Quest for the Popped ‘Un, track down the gorgeous Mr Laing/Laine in all his glory, in Knit 37. We have another beauty coming up next month, but no Knitting Genie ‘target’ will ever, for a second, quite rival Mr Laing for my heart. Fine man. P.S: Is it so very wrong to fancy a man from 1843?